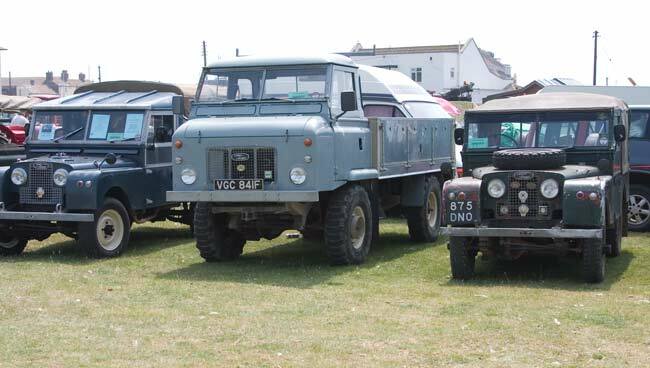 This page has photos of the Vintage Rally held at West Bay, Dorset on 10 June 2007. 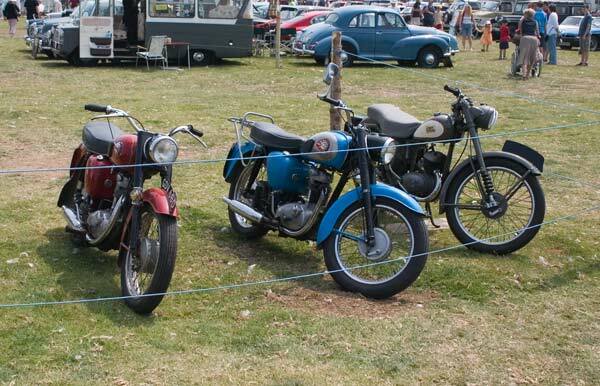 Three BSA Bantams, once an everyday sight as they were used by the Post Office to deliver telegrams. 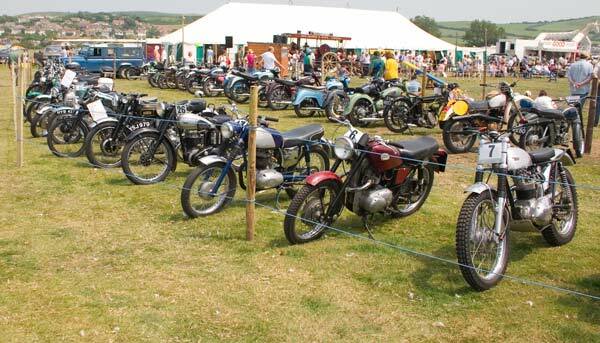 There was a wide variety of other British motorbikes on display including other BSAs and Triumphs. Now some cars, a 1966 Wolsley 1100 (or is it a 1300?) alongside a 1965 Ford Zodiac. 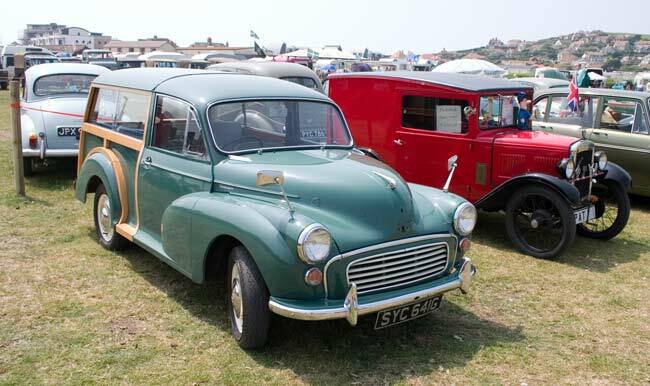 A Morris Minor Traveller with its wooden trim around the "estate" part of the body and a 1967 Morris Oxford. 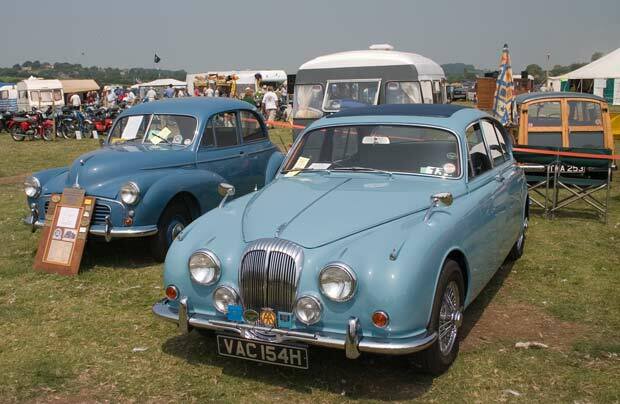 A Mk 2 Jaguar, always one of my favourite cars. 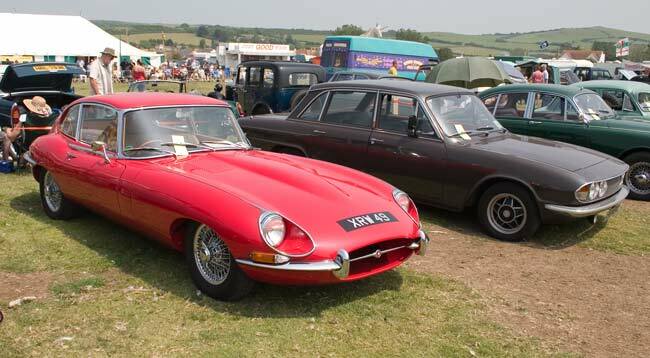 Another Jaguar, a real classic, an E Type, beside it is a Triumph 2.5. Why were all the best cars simply dropped rather than being updated in the BL era? 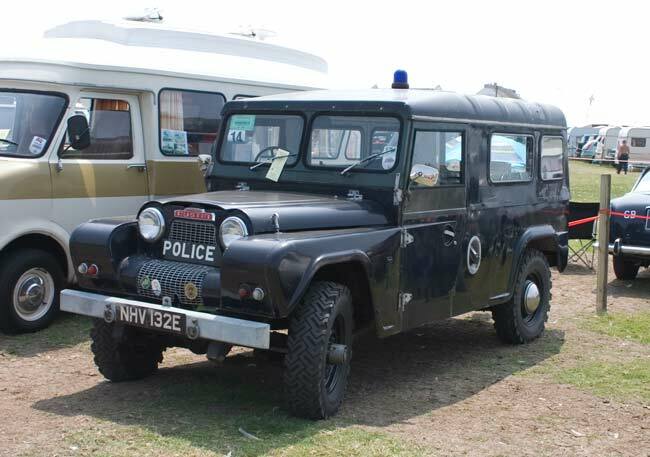 An Austin Gypsy, their answer to the Land Rover, this example is in Police trim. 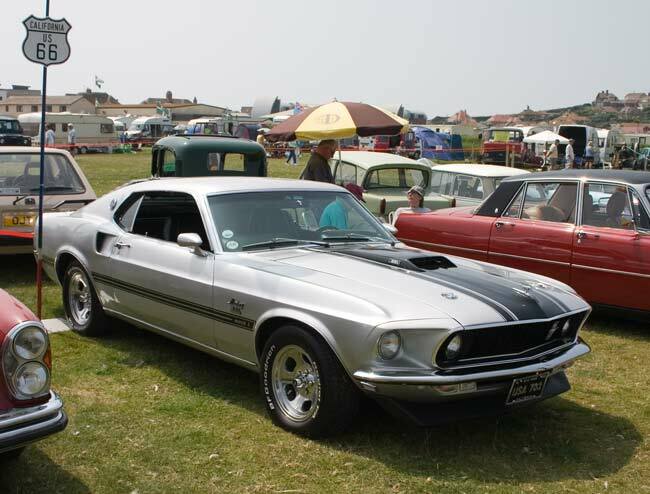 One of the few foreign exhibits was this American classic, a Ford Mustang. 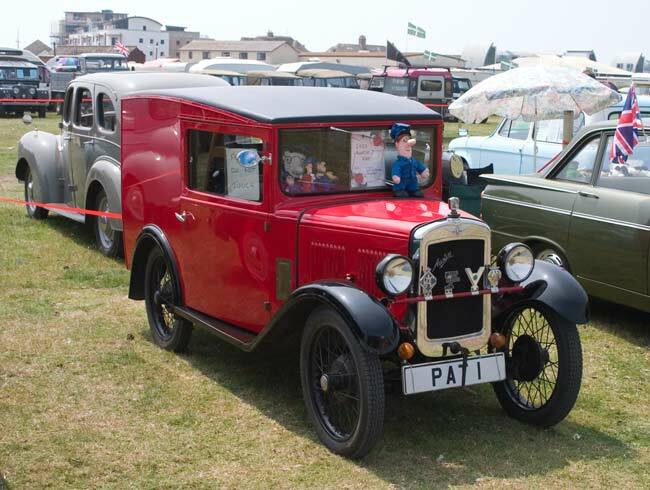 Postman Pat's van - an Austin (Seven?) - one for the younger visitor to enjoy. 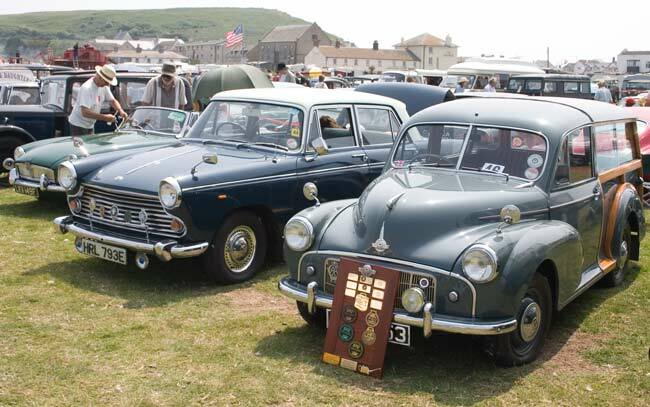 Another Morris Minor Traveller, this is quite a late one being a "G" reg., 1968/69. 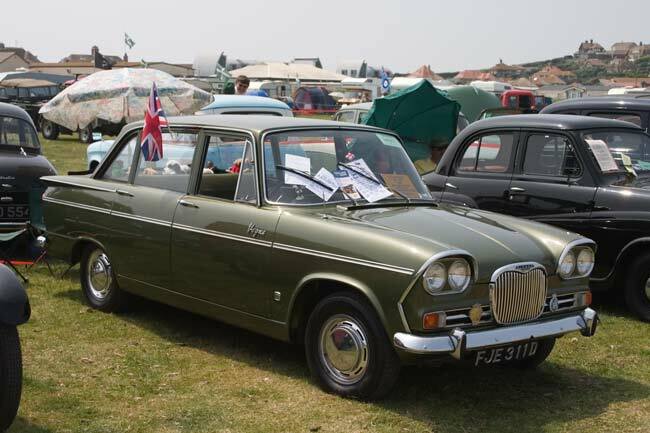 A 1966 Singer Vogue, at least Rootes Group "badge engineering" meant something in that the Singer Vogue was a better trimmed version of the Hillman Super Minx. 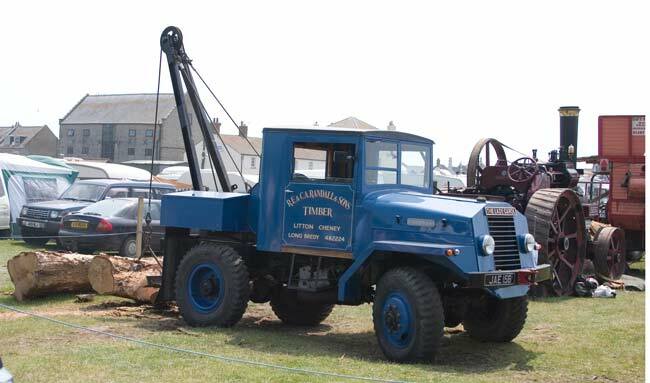 A rare Ford! 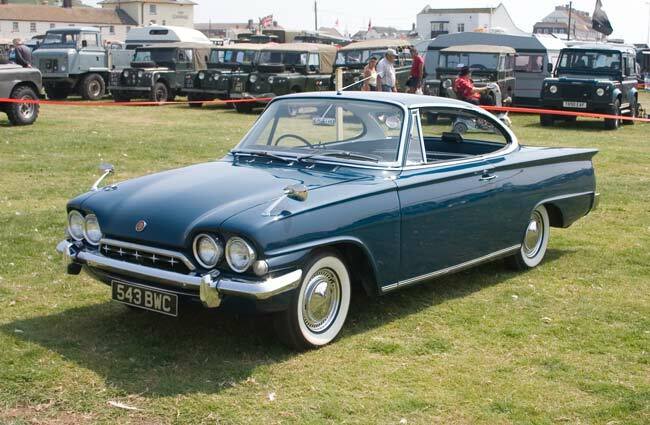 A Ford Consul Capri, even rarer than the saloon version the Consul Classic. 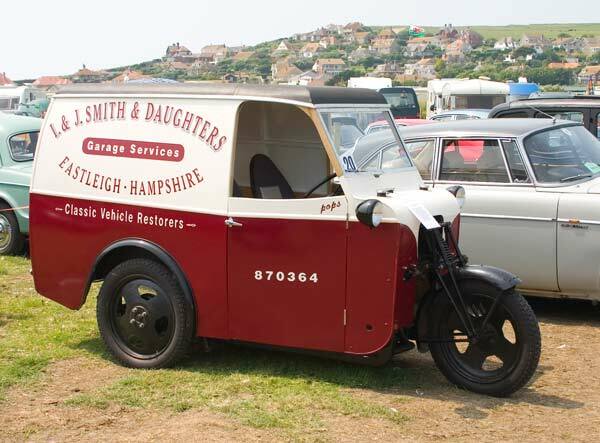 Two views of a rather unusual vehicle, a James motor tricycle van. 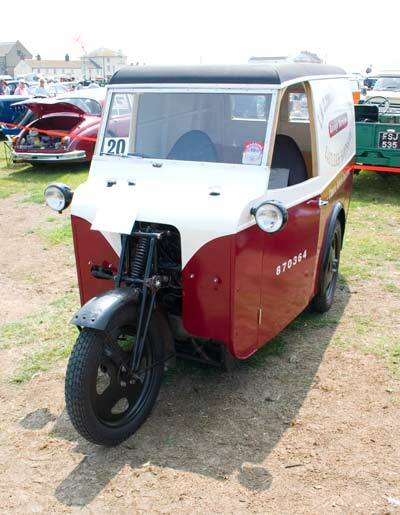 The front end is very much motor bike, though it does have a steering wheel rather than handlebars! 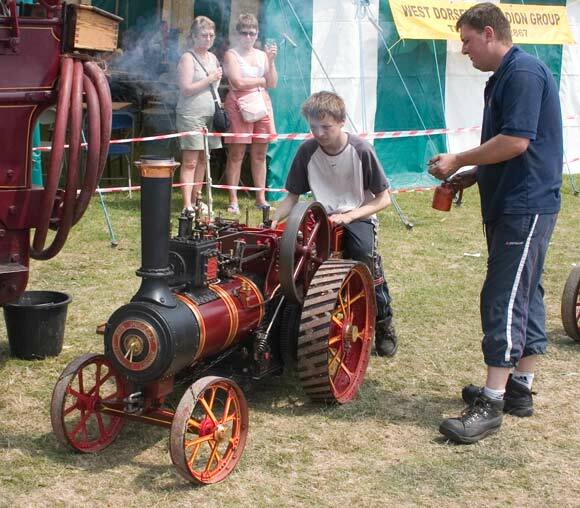 Not sure of the motor, I seem to recall James motor bikes used Villiers 2 strokes but this would need a bit more power than that I suspect. 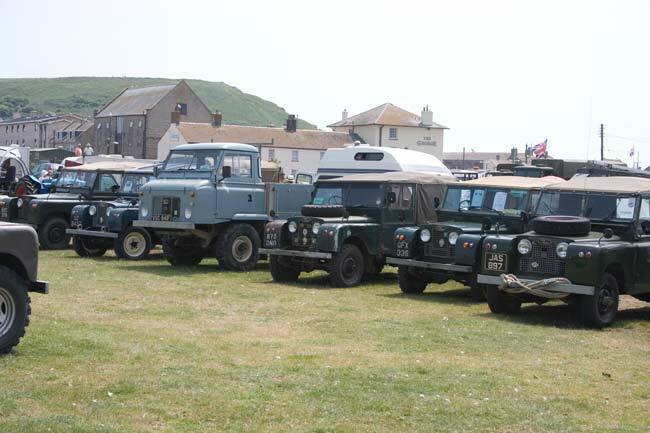 A line up of Land Rovers including a less common forward control version. 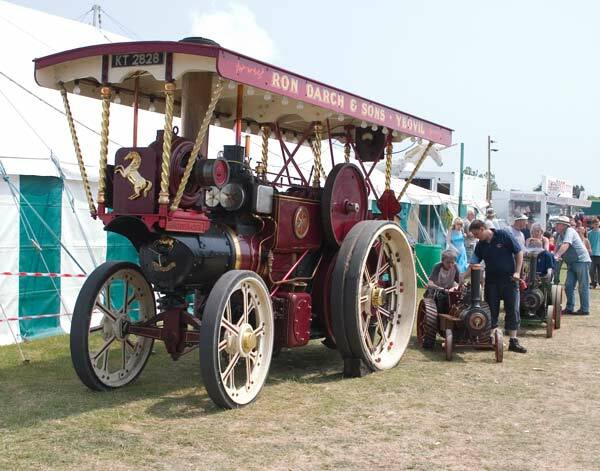 An Aveling & Porter showman's engine belonging to Ron Darch, a Yeovil coal merchant and oil distributor. 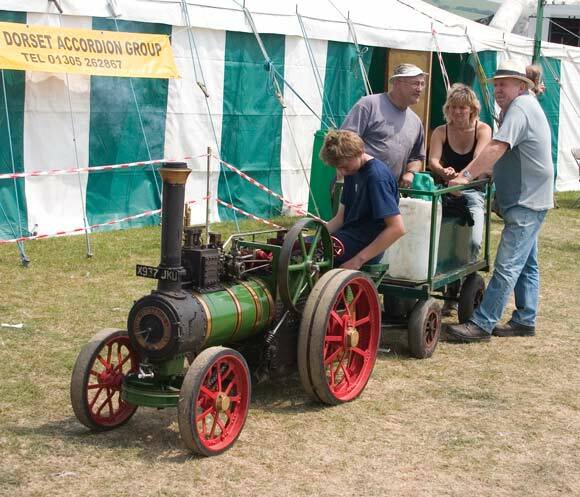 There were two miniature traction engines present, both with youthful drivers. 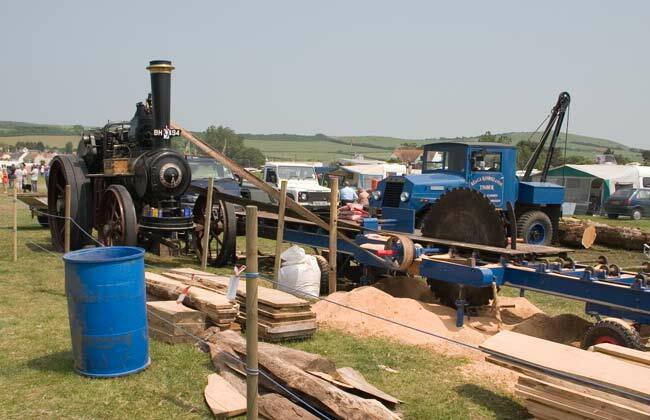 A traction engine powering a a saw bench, they were used to power equipment such as this as much as they were used for haulage. 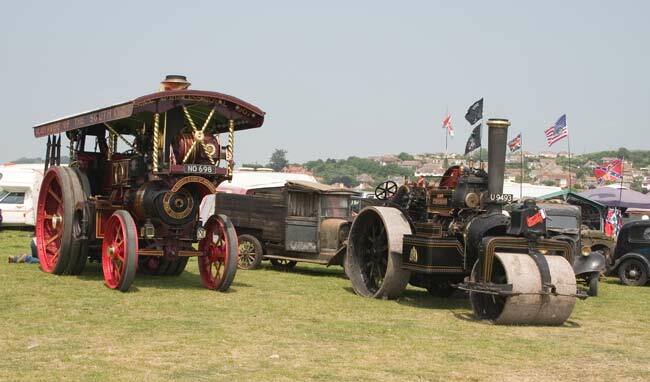 A showman's engine and a steam roller. 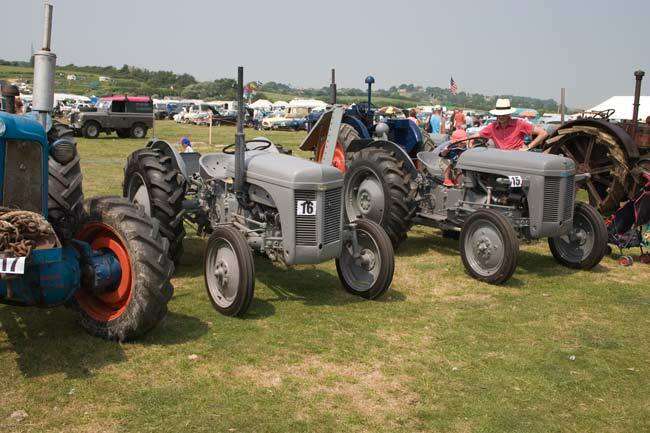 There were a few tractors present including this pair of "little grey Fergies" - Ferguson TE20's to give them their proper name. 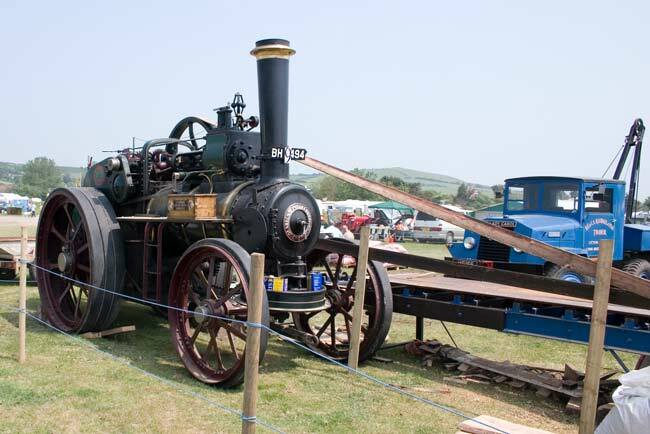 I'm not sure if this Unipower should be called a tractor or a truck, either way it was engaged in moving logs around the steam driven saw bench seen above.